Probably the most anticipated visit to a ramen joint ever by LG. 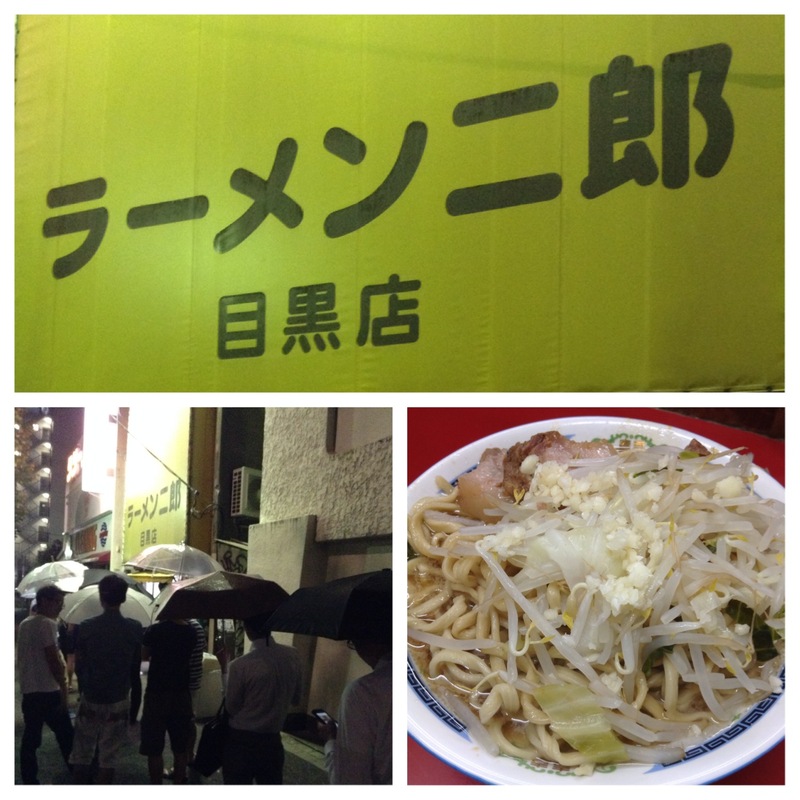 Accompanied by two Keio OBs/’Jirolians’, we ‘raided’ the Meguro branch of this cult ramen operator on a drizzling night. Well briefed by the two experts from the procedures to the etiquette and the buzz words … LG mumbled ‘ninniku’ when being starred at by the ‘master’ and luckily got served. Just when I was doing all the photo taking and trying to start enjoying the bowl like a real gourmet, I’ve found suddenly that I was way behind in the ‘race’ among the batch of five on our side of the counter. I slurped and gulped like there is no tomorrow out of fear and was happy to get back in line with the pace, just when the chap on my right got technically shown the ‘red’ card for being eating too slow. What an experience! The bowl itself was not really as rich as commented by most but the accompanying experts added that the Mita main branch is where the richest one is. Just that it closes too early for dinner and we have to give it a miss this time. Having said that, LG still had to risk some eyebrows being raised by leaving a few pieces of what looked like pure lard in the bowl at the end. All in all, this is really the ultimate for all ramen lovers to try and LG have already booked a rematch in the autumn at the Mita Honten (a.k.a the Mecca) with the fellow Jirolians. This entry was posted in Ramen | ラーメン and tagged Jiro, Meguro, Tokyo. Bookmark the permalink.